The Integrated Land, Water Resources and Clean Energy Management for Poverty Reduction Project is supporting the sustainable management and conservation of natural resources, more productive agriculture, reducing human pressure on Volcanoes National Park and reducing greenhouse gas emissions by protecting 1,400 hectares of watersheds, 50km of ravines and rivers, creating a 1,000 hectare buffer zone of Volcanoes National Park, supporting two green model villages, distributing 1,000 improved stoves and 50 biogas digesters, controlling water hyacinth on 60 hectares and creating 1,680 green jobs. The project is being delivered by Musanze District and is addressing severe erosion caused by deforestation, over cultivation of hillsides and intense rainfall events linked to climate change. The project started in May 2014 and aims to enhance food and energy security, support climate resilient livelihoods and improve access to renewable energy. Erosion control measures have been introduced to improve agricultural productivity. The project also provides biogas digesters, improved cooking stoves and rainwater harvesting systems to reduce pressure on forest resources and enhance water security. Livelihoods of vulnerable households including women headed households and youth are being strengthened with support for income generating activities. 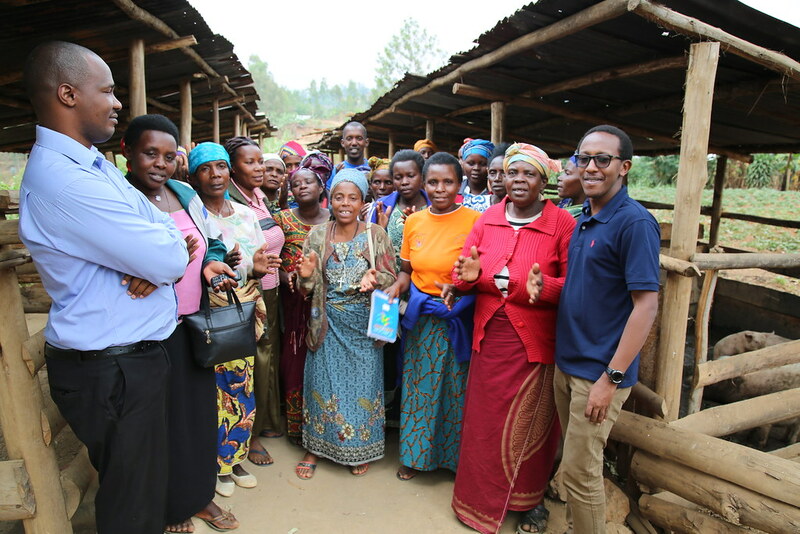 The project is being implemented in Rwaza, Kimonyi, Nkotsi and Shingiro sectors in Musanze District. Ministry of Natural Resources, Imbaraga and different cooperatives and companies.